Doom Patrol: Waiting for Doom Episode 71: The Wait is Over OR Gyros for Everyone! Waiting for Doom Episode 71: The Wait is Over OR Gyros for Everyone! Two of my favorite Australians, Garve and Flanger grabbed their gyro covers, peeled off the stickers, slapped them on each other's foreheads and gave us Episode 71 of Waiting for Doom! You can get yours (Episode #71, not gyro sticker) right here on Comicosity. 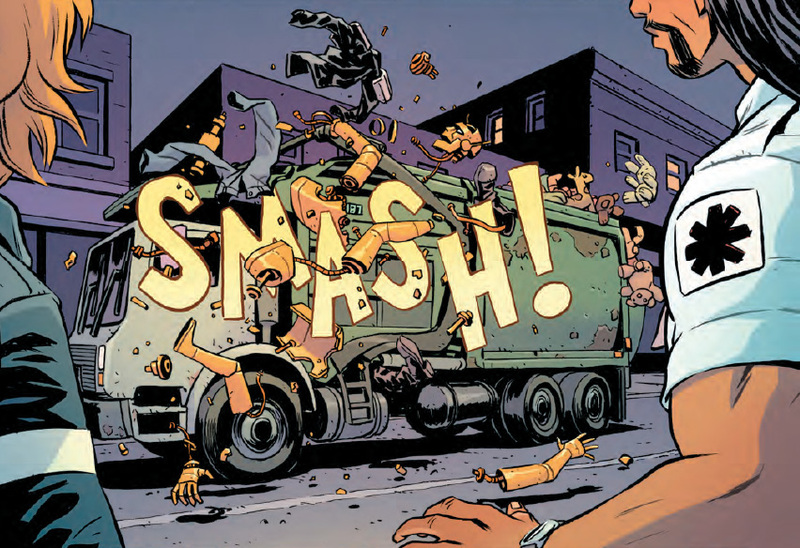 Fire up the action chair, question normality, and take a drink (preferably a large one) as your favourite Patrologists get their hot hands on a comic they’ve been waiting for all this time: an all new Doom Patrol #1. What a time to be alive! LET’S GET PATROLLING! Doomsplaining – 10:55 – The moment we thought may never happen is finally here. Doom Patrol Volume 6, Issue 1. The beginning of the Way/Derington era! Enjoy. 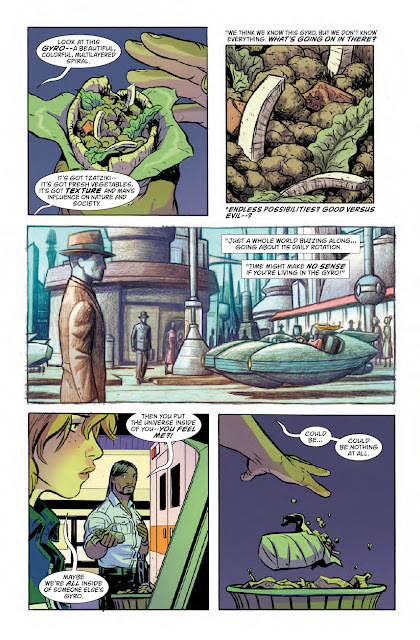 Potential spoilers for those who are yet to read this issue. 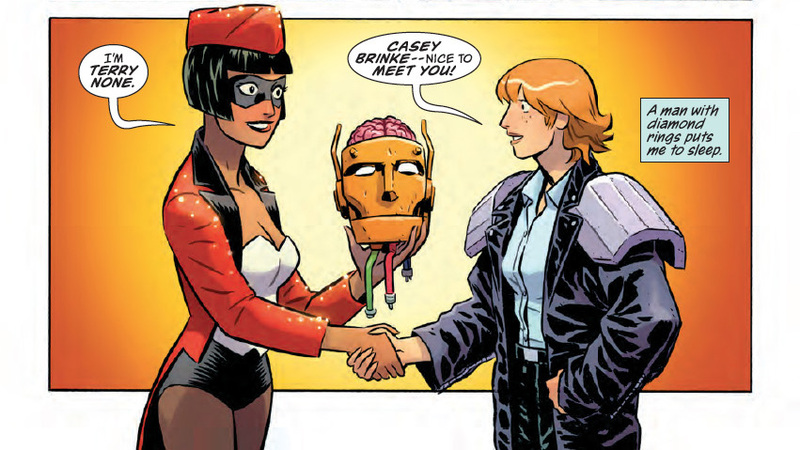 The bulk of the issue focuses on the introduction of Casey Brinke and her EMT partner Sam. It gets a little existential, but in a fun way, and, as the boys note in the podcast, Sam and Casey are immediately likeable. Maybe we're all inside of someone else's gyro. Cliff even appears in this first issue of Doom Patrol. Could we actually be seeing Crazy Jane as well? I debated sharing this page, but how could I not? 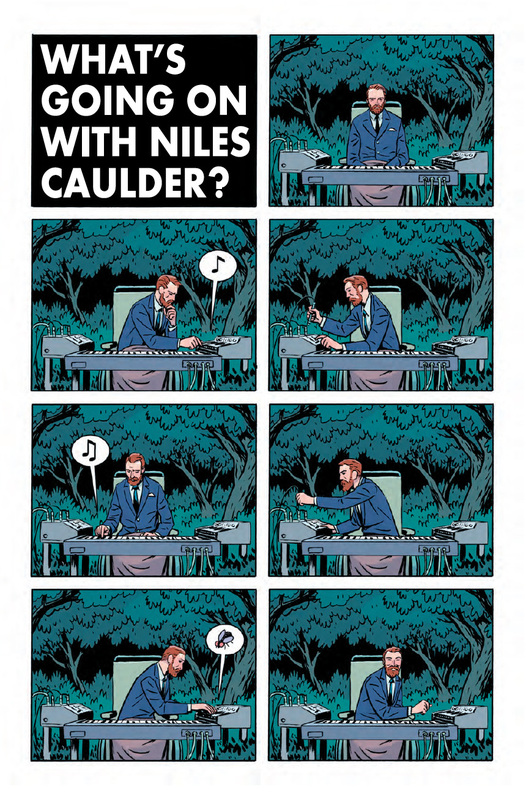 Just look at Niles Caulder's self-satisfaction in that bottom panel. Great job to Nick Derington! And Cliff fights his way back to our world, if for no other reason than to remind you to drink. Later on in the issue we meet Terry None through events that are rather spectacular. And bizarre. And bizarrely spectacular. The beginnings of a whole new Patrol? 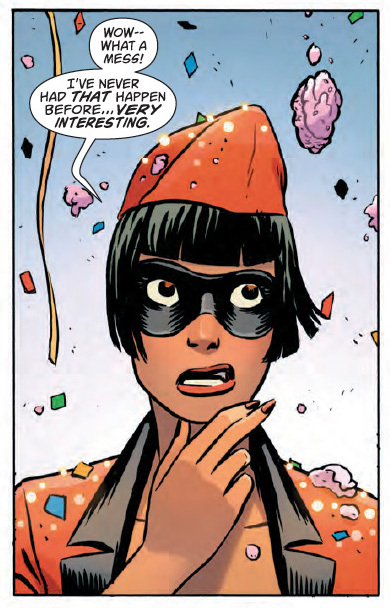 Zero days since the last Doom Patrol book. Well, maybe A day right now, but go back and re-read it! 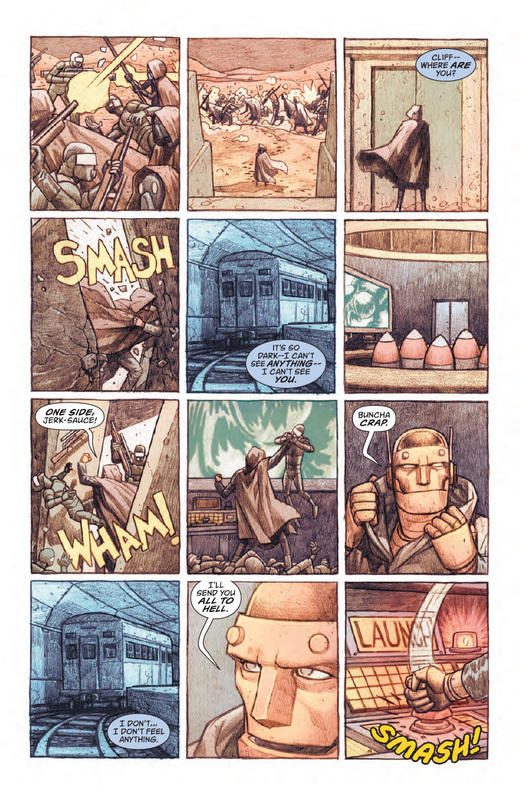 Or check out my review of Doom Patrol #1 over on Comicosity. 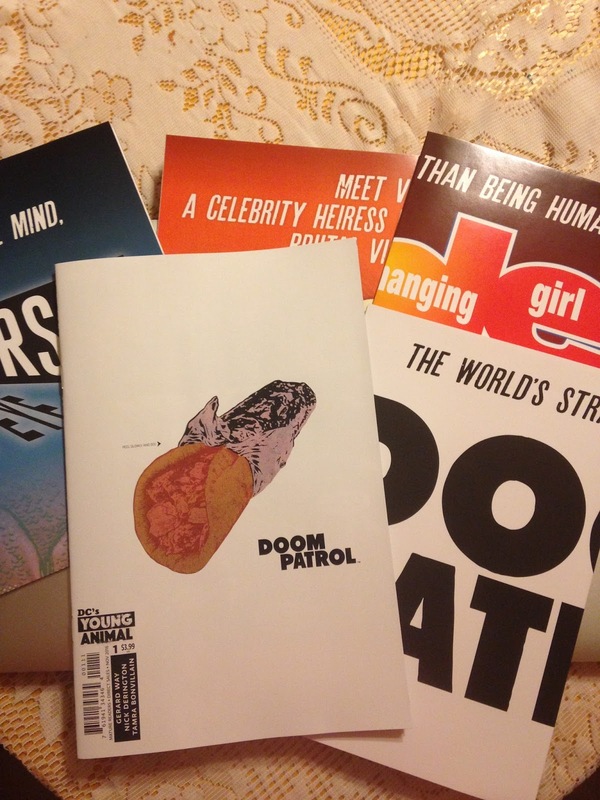 One more shoutout to my LCS, Pieces & Pages for hooking me up with a Doom Patrol poster. 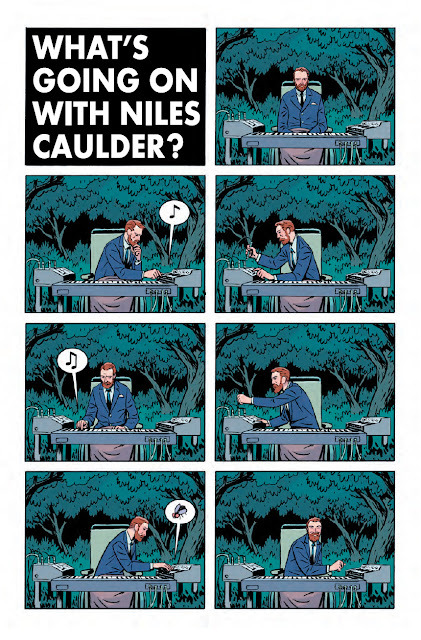 And a Cave Carson poster. And a Shade, the Changing Girl poster. And a Mother Panic poster. Good people and good stuff over at Pieces & Pages. Question of the week: What did YOU think about the new DOOM PATROL #1?